Victoria is as sensual as she is soft. 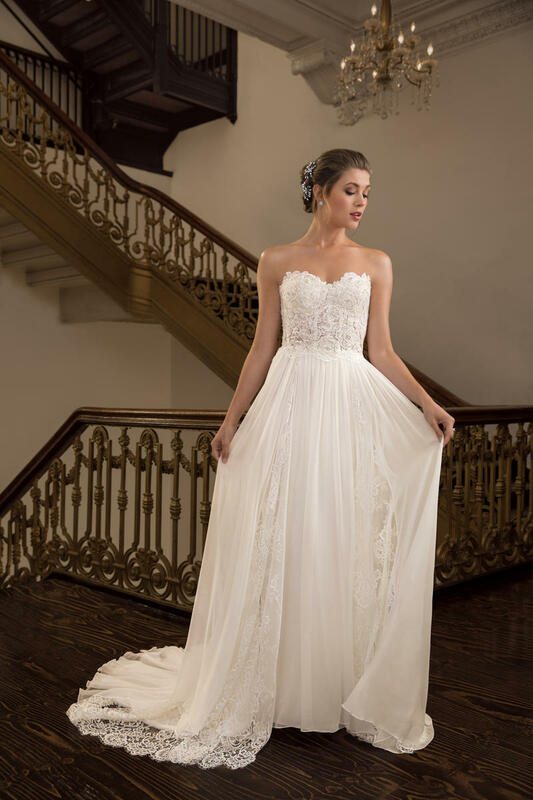 This simple wedding dress by Amare Couture is irresistibly alluring, streams of soft silk chiffon flowing in-between the Chantilly lace that makes up her light and airy skirt. Her strapless sweetheart neckline descends into an illusion lace bodice, decorated by sparkling silver beading.